Dental crowns are an excellent dental restorative option for cracked or chipped teeth. They act like caps for your teeth, covering your mouth’s inconsistencies and imperfections. They can also effectively fill any gaps in your smile left behind from missing teeth. With dental crowns, you can have a full, functional smile again. At Echeverri Dental Center, we offer traditional dental crowns. Dental crowns are available in gold, porcelain, or porcelain fused to metal. Most patients opt for porcelain crowns because they look more like natural teeth. We will customize your crowns to match your smile by shaping, coloring, and sizing your crowns to look more like your existing teeth. Dental crowns can enhance your smile, but they also conveniently fortify your damaged tooth. With a dental crown, harmful bacteria shouldn’t be able to reach your tooth, halting tooth decay. Dental crowns can also treat cavities that are too large for a traditional filling. 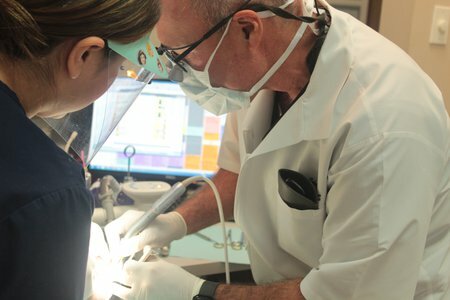 At our Houston, TX dentistry practice, we also use dental crowns during root canal procedures. After a root canal, your affected tooth is extremely sensitive. A dental crown should protect it from further damage and prevent it from becoming infected again. We also use dental crowns for dental implants. In a dental implant, a dental crown is the piece that gives you a full smile, filling in the hole left behind by the missing tooth. The dental crown connects to a titanium post and an abutment connector to complete your dental implant. Dental crowns can also be used for dental bridges. Dental bridges are oral prosthetics that restore missing teeth. They usually rest between two intact teeth to replace several missing teeth. The dental crowns act as your natural teeth, making your smile look whole again. If you’d like to learn more about dental crowns, call our Houston, TX dentist office. We would be happy to answer any questions or concerns you may have. Contact us today to schedule your appointment at Echeverri Dental Center.